Characterised, by rugged mountain ranges, gardens, scenic forests and two of New Zealand’s most popular cities, the Lower South Island offers up a smorgasbord of activities ranging from bungy jumping, canyon swinging and jet boating to skiing, cycling and wildlife spotting. New Zealand's lower South Island is home to some of the most amazing cities and the world's adventure capital. With so much to see and do, our things to do in Lower South Island has you covered. Renowned for its adventure sports, snow season and vineyards, there are plenty of things to do in Queenstown for locals and visitors. Bring out your inner thrill seeker with a ride on the world's most famous jet boat, the shotover river jet boat ride. This exciting ride combines spectacular scenery with adrenaline-fuelled action. If you want to experience Queenstown at a more relaxed pace, the evening hot pools private bathe will let your worries float away. Sink into the warmth of your private hot pool overlooking the Shotover River for the ultimate relaxation experience. 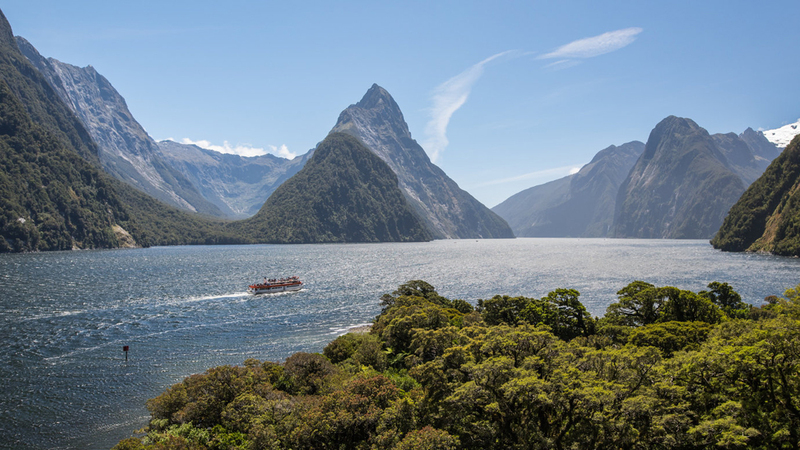 If you're visiting the South Island, we definitely recommend visiting Milford Sound. Enjoy the truly majestic scenery with a Milford Sound cruise and discover the marine life during this breathtaking experience. Discover the scenery from new heights with the Dusky and Doubtful Sounds scenic helicopter flight. This incredible scenic flight accesses one of the most remote corners of NZ to see this magical part of the country from the best vantage point. If you're up for the adventure and willing to take it to a whole new level, the tandem skydive over Wanaka is a must-do experience. Experience breathtaking views of Lake Wanaka, one of the most beautiful places on earth whilst free falling at speeds of up to 200km/h. Our things to do in Lower South Island are all about experiences the region's beautiful scenery and the adventure capital of Queenstown. So if you're after experiences in Queenstown, Milford Sound, Wanaka, Dunedin and more, we've got you covered.